As an experienced roofing company, we understand that insulation plays an important part in keeping our homes warm and comfortable. However, you might find some indicators that your home’s insulation may not be enough. In some cases, builders would install the minimum amount of insulation required by code to keep costs low. Unfortunately, depending on where your home is located, this bare minimum might not be enough to keep your home comfortable or help you save money on your energy bills. In this post, 1-800-RITE-ROOF discusses how you can tell whether your home is under-insulated. 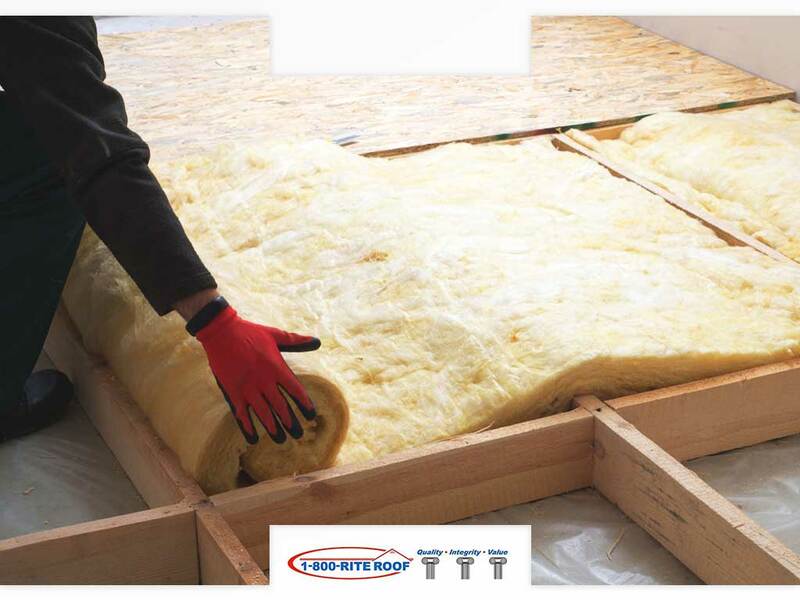 High Energy Bills – Insulation is supposed to help you reduce the costs of your heating and cooling. If your energy bill suddenly rose drastically, then have a roofer check on your insulation. You may need to replace it or add an extra layer. Fluctuating Temperatures – The temperature in your home is meant to be even. If your rooms have different temperatures like it’s too cold in the kitchen, but too warm in the living room, then it might be a sign that your home is under-insulated. Cold Drafts – While most notable during winter, you can also observe cold drafts at certain times of the year. This may be caused by cool air entering your home via window frames and doorways. Hire a professional to check the insulation or any of the other involved components to determine the real cause. Not only will your home be more comfortable, but you can also save on your energy bills. Pests – Your home’s insulation is another way of keeping the pests away. So, if your home is under-insulated, not only does this allow cold air to enter and hot air to escape, but it might also allow mice and bugs to easily find their way into your home. Water Leaks – Insulation is not supposed to stop water from entering your home. However, if your insulation isn’t providing the same functionality as it used to, check for water leaks. Water can damage your insulation and make it useless. To start your roof replacement this spring, turn to 1-800-RITE-ROOF. We are your leading provider of residential and commercial roofing services. Give us a call at (262) 373-3800, or fill out our contact form to learn more about our services and get a free estimate. We serve clients in Brookfield, WI, and other nearby areas.